After seeing some samples of stereoscopic content on the GearVR, we knew this added layer of immersion was the future for live action VR. 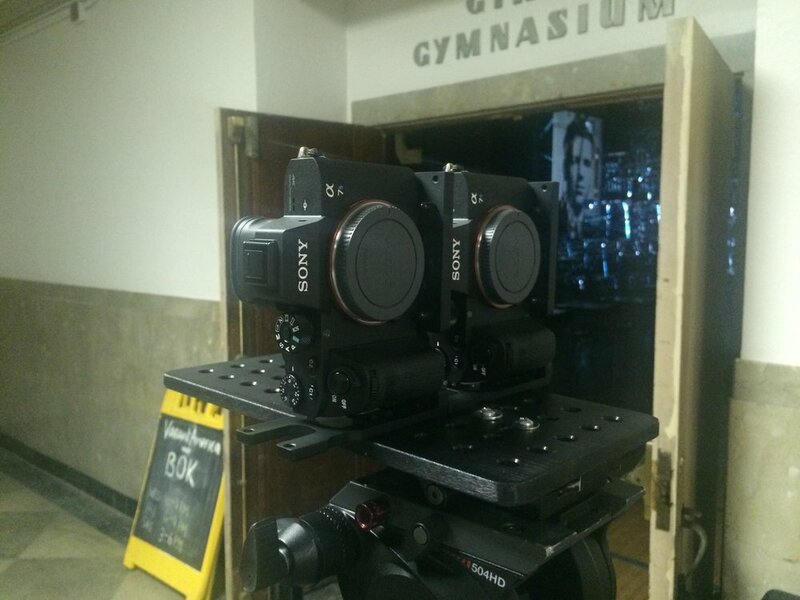 We took what we learned from our monoscopic VR design, and applied it to a stereoscopic two camera rig. Since this was just a prototype, we had to shoot each scene from 4 angles in order to capture the full 360 degree environment. It wasn't ideal for all situations, but it allowed us to get our feet wet with live action stereoscopic VR. 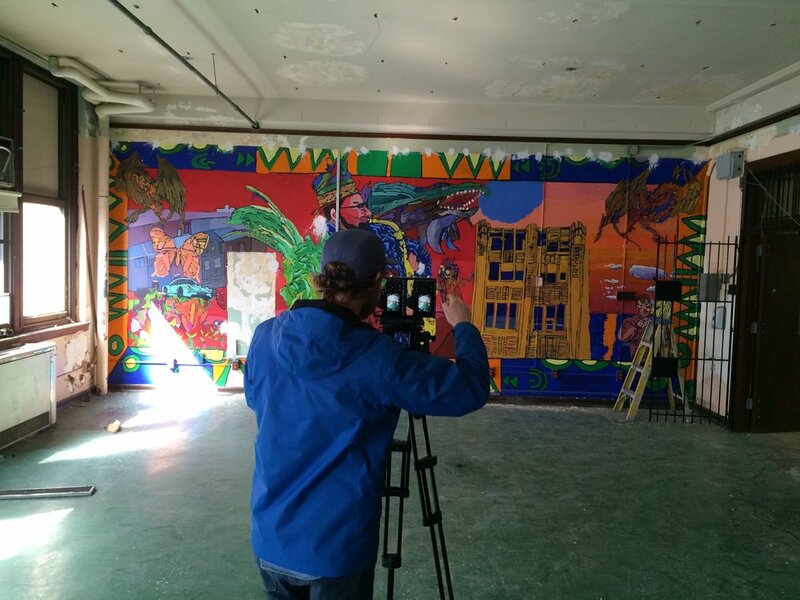 For the two camera stereoscopic design, we tested various setups and rigging solutions. 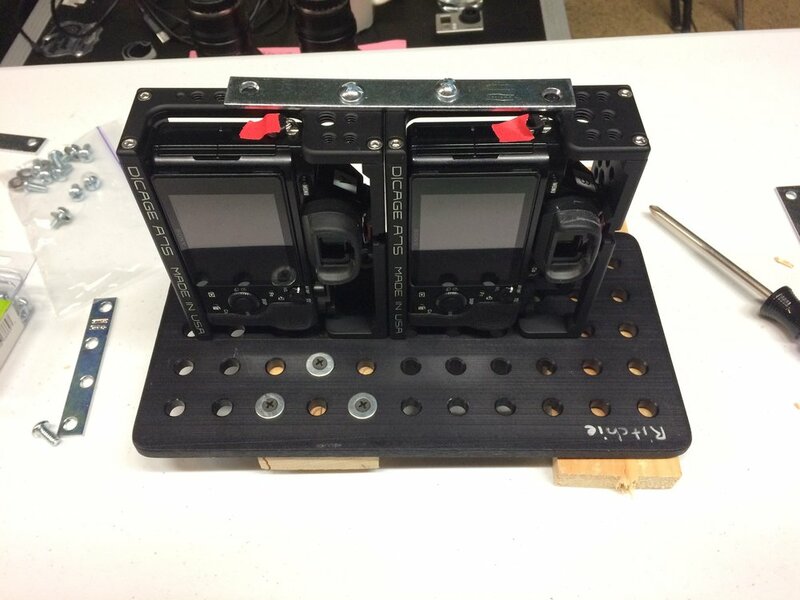 We ended up using a cheese plate to hold the cameras together in a side-by-side vertical configuration. This also allowed us to attach them to a tripod, and unscrew and remove the cameras during a shoot when we needed to replace the batteries. 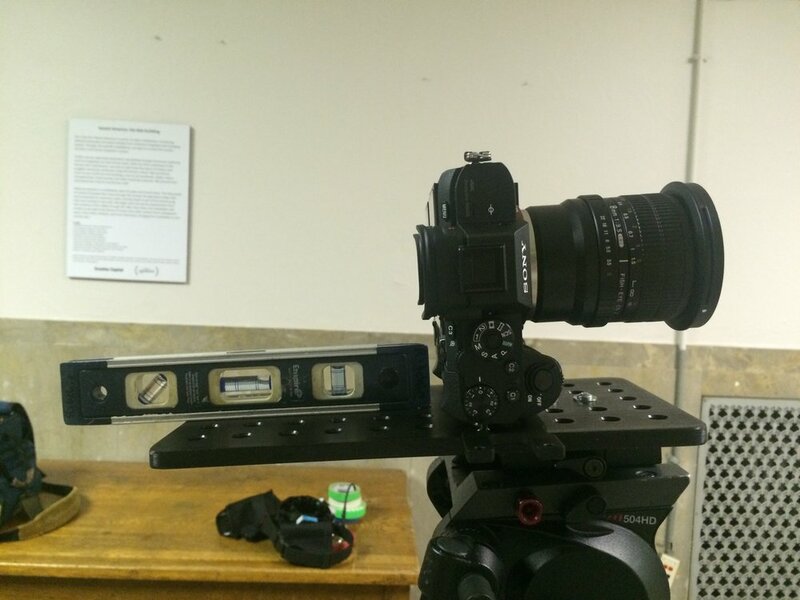 This rig proved to be a much lighter and faster than the previous monoscopic VR camera rig. 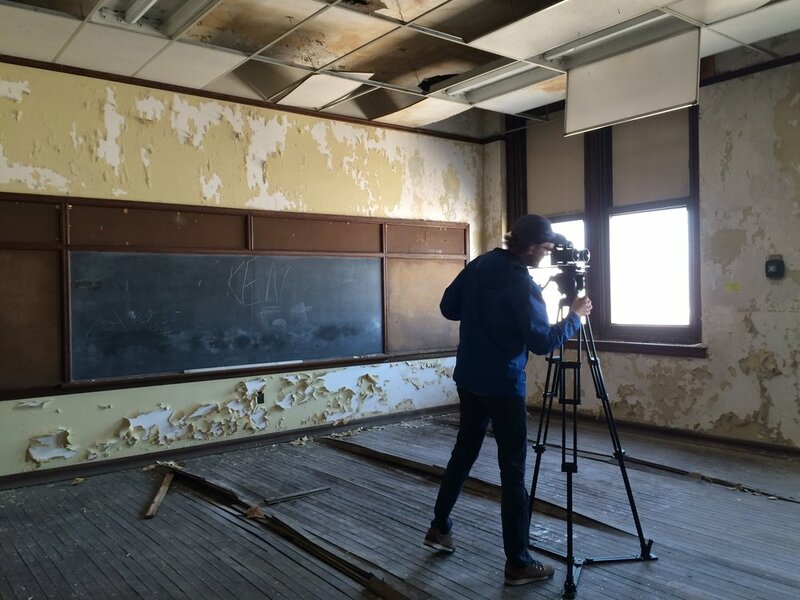 We ended up shooting at Bok Technical School again in order to see the difference between monoscopic and stereoscopic imagery. After seeing the stereoscopic results from Bok, we made the decision to invest further in the rig and replace the Sony a7s bodies with Sony a7sII in order to capture 4k video. 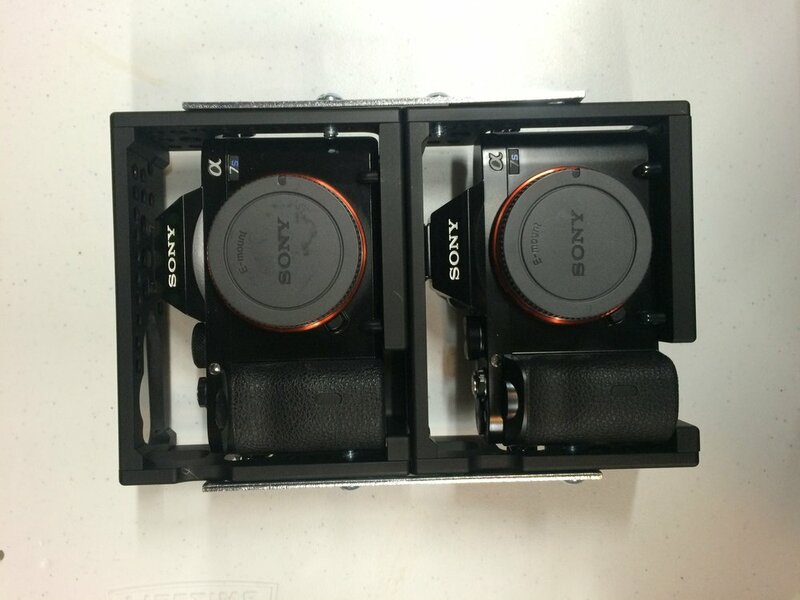 The cages we used on our original monoscopic Sony a7s rig did not fit the Sony a7sII bodies. We had to reconfigure the cages to keep the correct interpupillary distance.